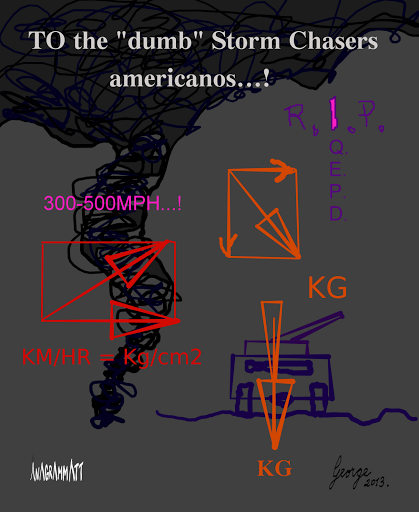 …TWISTER gets celebrety Storm Chasers! Dad, independent son, and another dumb bum…! ANAGRAMMATT for you all "habilis-sapiens-intelligencis"…! 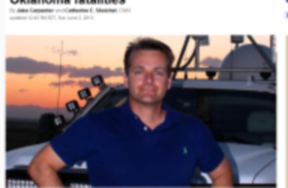 Storm chasers, TV personalities among Oklahoma fatalities http://www.cnn.com/2013/06/02/us/midwest-weather/index.html?sr=sharebar_twitter … – something bigger than them got them! Over-confidence! @ a twister got them after they thought they could out-run, not be “levitated” to death! A splatter! … something bigger than them got them! Over-confidence! …a twister got them after they thought they could out-run, not be “levitated” to death! A splatter! ← …toronto girl…! "appearances" are deceptive…!